To see a play by Nobel Prize-winner Gerhart Hauptmann (1862-1946) is not that easy a task in a German-speaking country. To see one outside German-speaking countries is a rarity enough. Getting to the Battersea Arts Centre looked difficult, but it turned out to be quite easy, requiring only a short train trip to Clapham Junction and a 10-minute walk to the theatre. The play was held in the Studio Theatre 1 at the BAC which holds only about 50 people. It reminded us quite a bit of the Court House Theatre at the Shaw Festival in Niagara-on-the-Lake, Ontario (which, however, holds 350). Lonely Lives (Einsame Menschen) from 1891 was a revival of the UK premiere of the play that Urban Fox produced in 1999. The play itself was in Ruth Platt’s adaptation something of a revelation--a bit like Ibsen, a bit like Chekhov--but always dealing with characters and themes in surprising ways. As the title suggests, the play puts forward an existential view of life (remarkably) about 50 years ahead of its time. The first-time director, Eddie Marsan, drew finely detailed performances from most of the cast, though Robert Woods as the central male character John Vockerat, could not quite put across the complexity of his character’s conflicting motives. 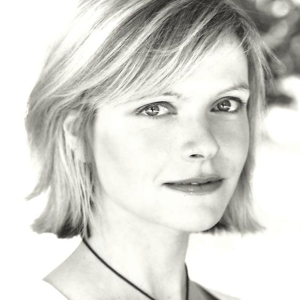 Platt herself played Anna, Vockerat’s student, who upsets Vockerat’s life simply by being more independent and much more his intellectual equal than his conventional wife Kitty (Jane Cameron). One of my German play guides says that the play is about the suffocation of idealism by everyday existence. In this production, however, an idealism that has no sense of reality is criticized as much as a reality that has no place for idealism except for religious clichés. When the characters hope that this conflict will be resolved “in the 20th century”, one could only cringe at how much that century would dash their hopes. The play is so fascinating it provided much food for thought over the next two days and made one hope the production might lead to a general revival in interest in Hauptmann elsewhere.